DIY is making its debut at SXSW Music Festival in style with two official showcases this year. On March 13th, DIY will be teaming up with TicketWeb to kick off a week of evening showcases at the British Music Embassy at Latitude 30. The show is set to feature some of the brightest new British talents, with performances from the likes of Muncie Girls, Doe and Blaenavon. 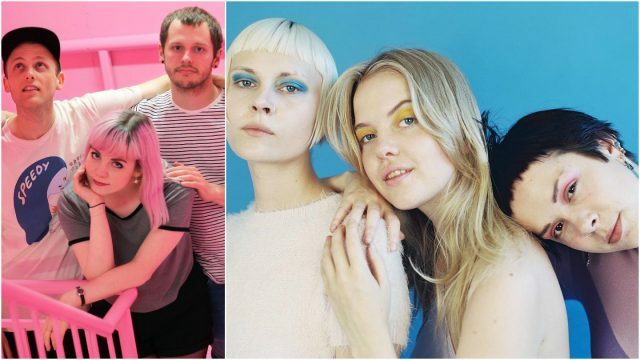 DIY will be ending the festival with their very own show at Maggie Mae’s on March 17th featuring artists Weaves, Dream Wife and PARTYBABY. Over the last decade, DIY has built a reputation of supporting artists from the earliest junctures in their career, with the likes of Wolf Alice, Years and Years and Bastille all amongst the biggest success stories. DIY intends to continue this tradition at this years Music Festival. In addition to hosting these events, DIY will also be working with the PRS For Music Foundation by jointly following two PRS-funded acts – Dream Wife and Doe – to record the band’s own personal ‘Road to SXSW’. The campaign will see DIY posting an array of content featuring the two bands’ journey across the festival, as captured through photos, video, and Instax cameras #theroadtosxsw. This exciting project offers an opportunity to glimpse behind-the-scenes at the life of emerging artists in the modern music industry. Register to the event for primary access to premier nighttime music showcases, and industry-focused sessions. This year, the Music badge also gives you access to most Film Festival screenings and Interactive Conference sessions.